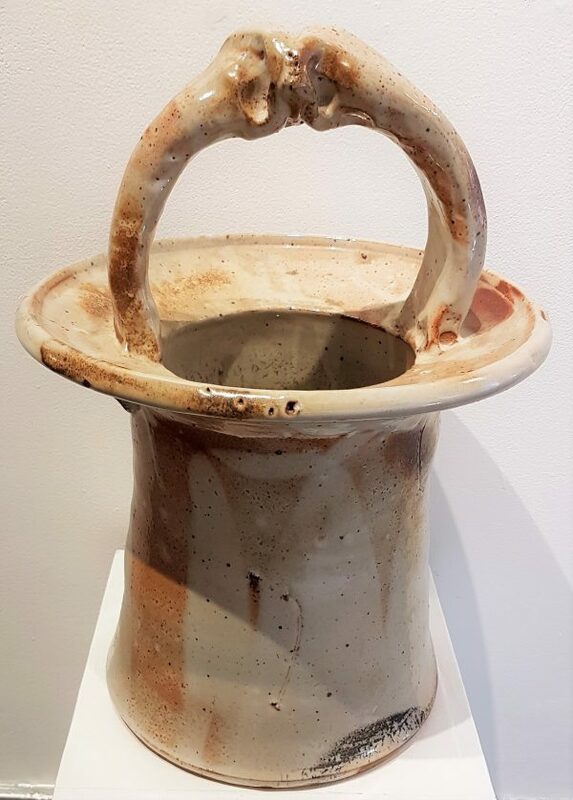 Kenneth Richard Ferguson (1928–2005) was an American ceramist born in Elwood, Indiana. He received a B.F.A. in painting from the Carnegie Institute of Technology in 1952, and an M.F.A. in ceramics from Alfred University in 1954. From 1958 to 1964, he managed the Archie Bray Foundation for the Ceramic Arts in Helena, Montana. From 1964 to 1996, Ferguson was Head of the Ceramics Department at the Kansas City Art Institute. His students included Chris Gustin, Richard T. Notkin, Akio Takamori, and Kurt Weiser He died at his home in Shawnee, Kansas December 30, 2004. 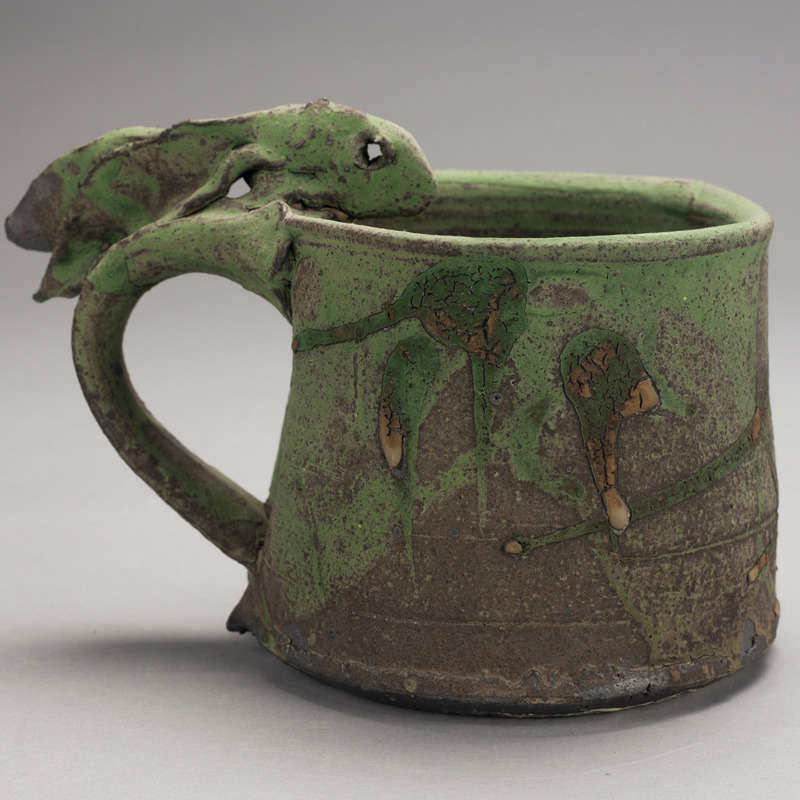 Ken Ferguson is best known for his stoneware incorporating sculptures of hares, such as Vessel with Hares in the collection of the Honolulu Museum of Art. The Brooklyn Museum, the Carnegie Museums of Pittsburgh, the Charles A. Wustum Museum of Fine Arts (Racine, Wisconsin}, the Everson Museum of Art (Syracuse, New York), the Henry Art Gallery (University of Washington, Seattle), the Honolulu Museum of Art, the Los Angeles County Museum of Art, the MacNider Art Museum (Mason City, Iowa), the Museum of Arts and Design (New York City), the Nelson-Atkins Museum of Art (Kansas City, Missouri), the Newark Museum (Newark, New Jersey), the Saint Louis Art Museum (St. Louis, Missouri), and the Victoria and Albert Museum are among the public collections holding work by Ken Ferguson. Cerbera Gallery features an interesting selection of Ken Ferguson works. Buy online or visit us in the Kansas City Crossroads for more contemporary art.